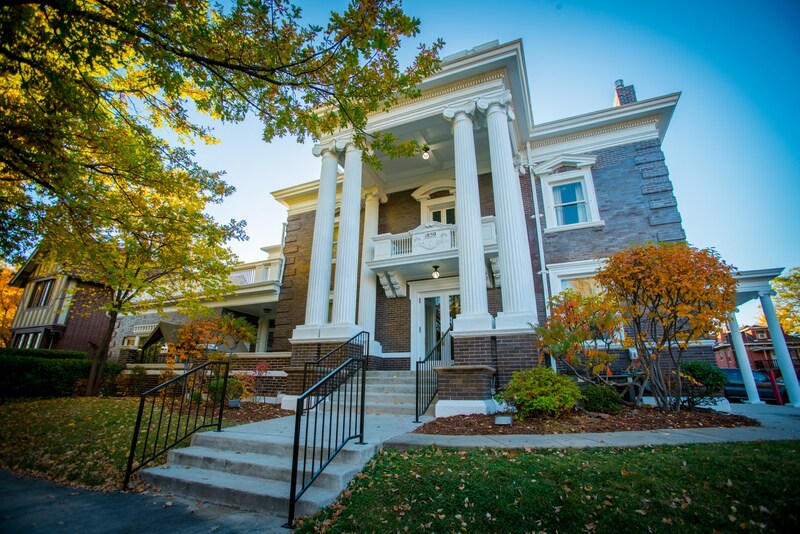 Currently operating as Denver’s premier boutique special event venue, Parkside Mansion offers a unique, exclusive and intimate setting. Reminiscent of a bygone era with towering columns, arched leaded glass windows and rich paneled ceilings, Parkside will awe and impress. Located on the western edge of Denver’s City Park, views from the rooftop patio are unparalleled.